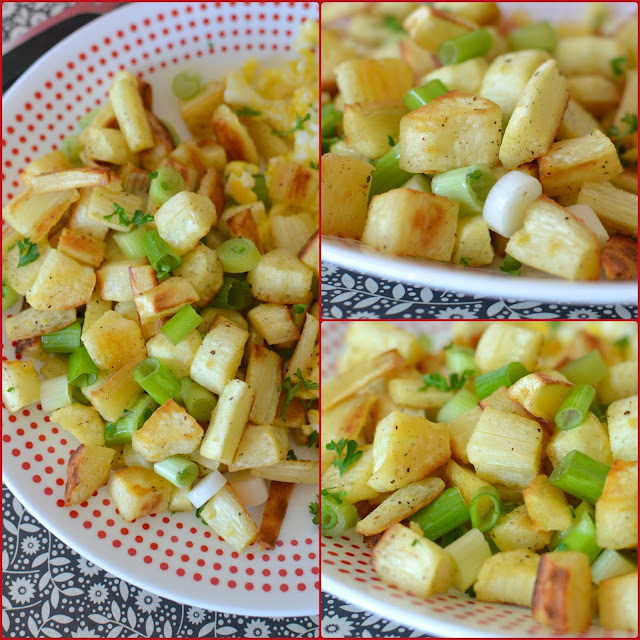 This breakfast or dinner side dish is unique, delicious and so simple to make! 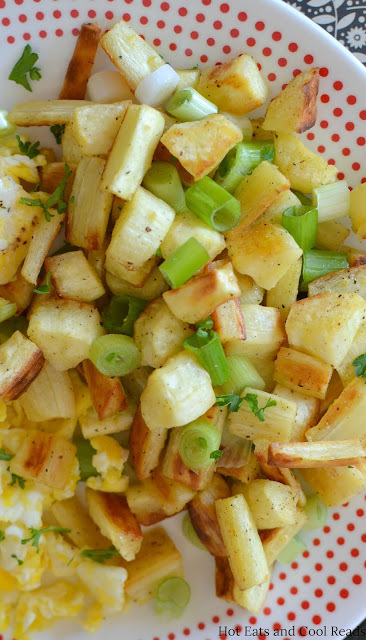 The freshness of the green onions go great with the roasted parsnips! Spring in Minnesota is one of my most favorite things! There's nothing like seeing beautiful blossoms on my nanking cherry bushes, enjoying kabobs from our first BBQ of the season, planting flowers and watching my daughter ride bike or play at the park. After being cooped up in the house through this extra long winter, these simple things in life are so enjoyable! This time of the year is always fun at my job! I'm currently serving as an Americorps VISTA at a local non-profit, Promise Neighborhood. We do some amazing things in the community, especially this time of year. Our community garden is getting started! Seeds were planted late last week and next month, kids will help with maintaining and harvesting. We also have a summer camp, girls group and math and reading activity days through the summer. I help prep and cook all of our meals for our programs, so I feel super blessed to share my recipes and love for cooking both here and there! Today's recipe is something special! Parsnips are fairly new to me, especially in my own kitchen. No idea why I've never thought to buy them before. But they'll defintely be added to my future shopping lists, especially to make this recipe! 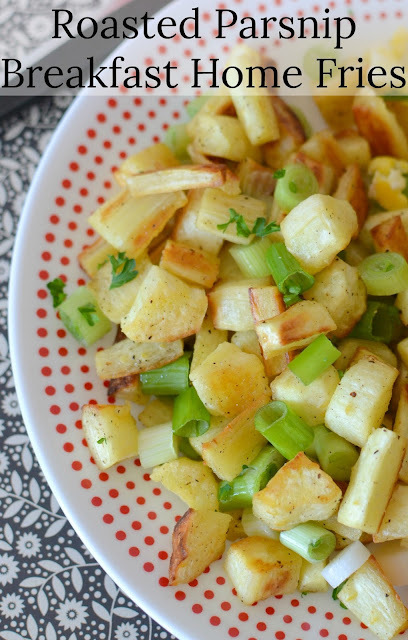 These Roasted Parsnip Breakfast Home Fries are the best of all breakfast sides! I served mine with scrambled eggs, but they would be amazing with a over easy egg on top. I love a good potato home fries, but these parsnips have such great flavor when they're roasted! They're not greasy, and I love the crispy outside edges of the parsnip pieces. Onions are one of my favorite things, raw or cooked. The green onion adds a burst of fresh flavor that I love. If onions aren't your thing, add less or skip them completely. The parsnips can defintely hold their own if you leave them out. 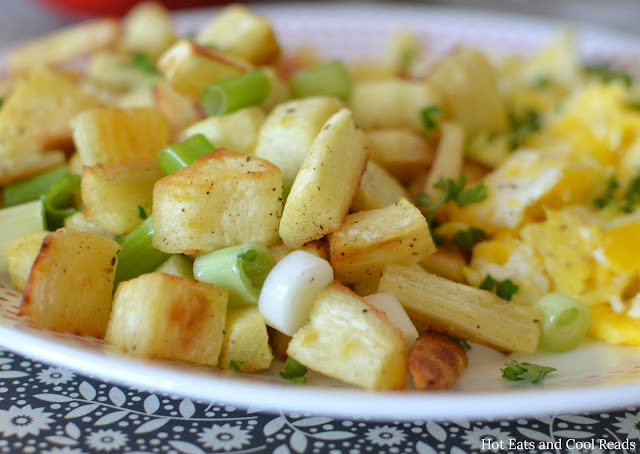 This recipe is not only good as a breakfast side, but would be amazing for dinner too! I can't wait until I find some parsnips at the farmer's market. If Trader Joe's parsnips taste this good, then I can't imagine how wonderful they are fresh from the ground. I won't be posting a new recipe next week, but will be back again in two weeks! I'm going on a much needed ladies trip to Atlanta, Chattanooga, Birmingham and Montgomery. 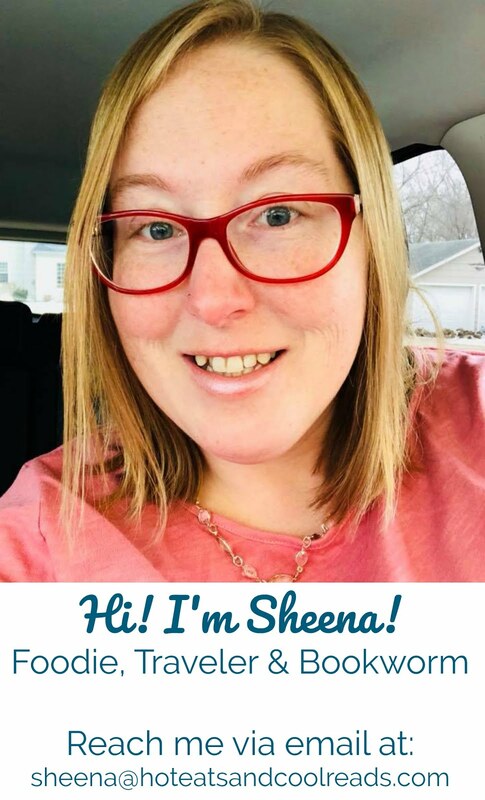 Can't wait to share my travel eats and fun! I hope you give this recipe a try and enjoy! 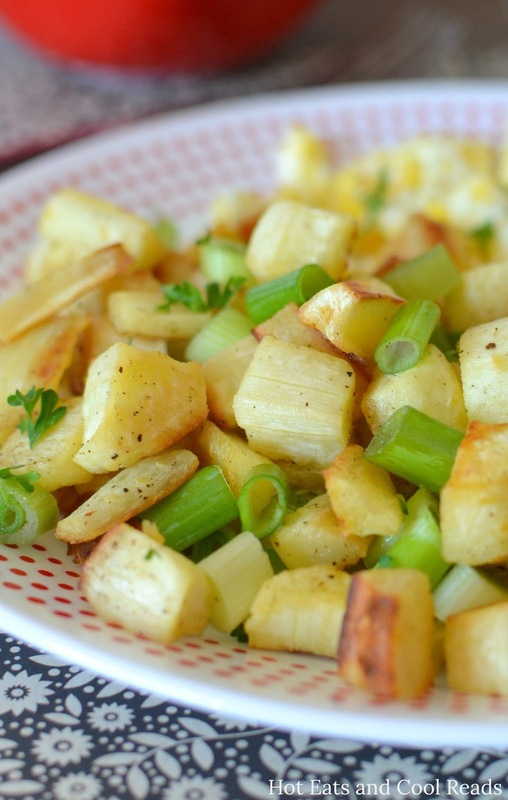 What are your favorite ways to prepare parsnips? In a bowl, toss parsnips with olive oil, salt and pepper. Spread onto a baking sheet in a single layer and bake for 15 minutes. Stir, then bake for another 10 minutes. Remove from oven and toss with green onions. Serve with any cooked eggs of your choice.